UPDATE 1: DG Connect (Unit E2) launches a web-based Public Consultation with a view to defining future research priorities in Cloud Computing, Software and Services, ahead of the H2020 ICT Work Programme 2014-15. All interested stakeholders (industry, research centres, academia, SMEs and users) are warmly invited to contribute. “The European Commission published the results of the public consultation on the Internet of Things and the output from the work of the group of experts on the Internet of Things. The conclusions will help to define the future policy on the Internet of Things. The public consultation was held between April and July 2012 (see IP/12/360). 600 people, associations and various groups from academics and civil society, as well industry players responded to the consultation. Through the public consultation, the Commission sought views on an a policy approach to foster a dynamic development of Internet of Things in the digital single market while ensuring appropriate protection and trust of EU citizens. Together with the results of the public consultation, the Commission publishes the output from the work of the group of experts on the Internet of Things. Information on the entire work of the group can be found in the Register of the Commission Expert Groups. Consultation “Integrating activities” results are published! 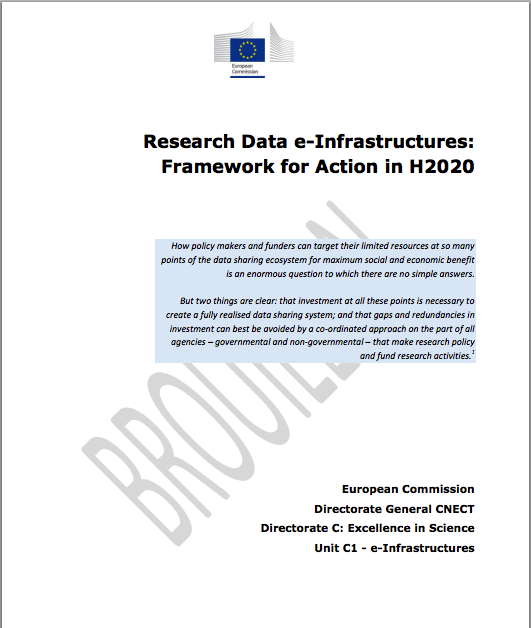 The aim of “Integrating activities” is to provide a wider and more efficient access to, and use of, the research infrastructures existing in EU Member States, Associated Countries, and at international level when appropriate. The consultation addressed stakeholders, i.e. operators of research infrastructures and user communities, in a bottom-up manner, in order to map possible future topics of Integrating Activities. Research infrastructures are defined here as facilities, resources, systems and related services that are used by research communities to conduct top level research in their respective fields. This definition covers: major scientific equipment or sets of instruments, as well as knowledge-containing resources such as collections, archives and thematic data infrastructures, together with the associated human resources. Research infrastructures may be “single-sited”, “distributed”, or “virtual” (the service being provided electronically). Results of the Consultation on possible topics for future activities for integrating and opening existing national research infrastructures are now published! The document on which the consultation is based on, Framework for Action, can be found here. Consultation closes the 27th of March 2013. To participate in the consultation please click here. Brainstorm and discuss concrete activities that the institutions engaged in the Permanent Platform of AC can develop to support this process from the bottom-up. Under the auspices of the Irish Presidency of the Council of the EU, the Permanent Platform of AC is holding the second edition of the European Intersectoral Summit on Research and Innovation on the 25-26 February 2013. The Summit is organised with the participation of the Irish Ministry for Jobs, Enterprise and Innovation, Trinity College Dublin and the Irish Times. The EISRI 2013 edition focusses on the influence of communication and media on Responsible Research and Innovation (RRI) and is designed to create a unique opportunity for intersectoral and interdisciplinary discussions. The conference brings together leaders and key representatives of research institutions, businesses, media, NGOs, policy makers and professional science communicators to discuss and reflect on the relationship between science and society. EISRI II presents high-level speakers including former heads of state and key representatives of the European institutions and national governments as well as leaders from leading research institutions, businesses and media. The dedicated workshops are designed to reflect the key issues in this area and to promote “out of the box” thinking and participatory processes. 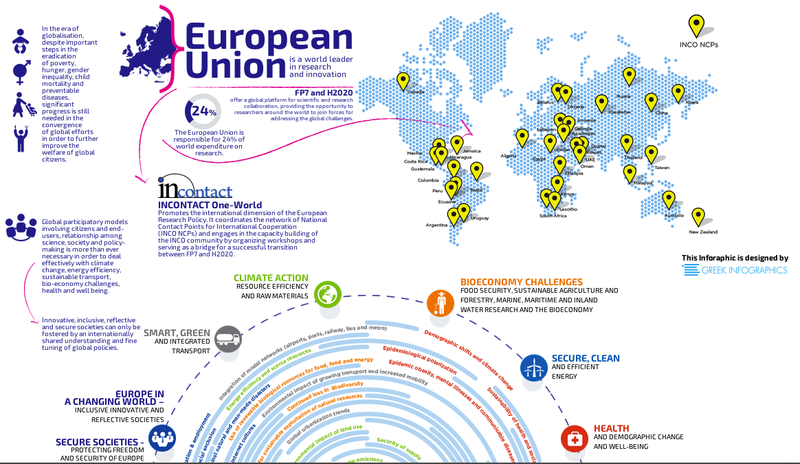 The EC is asking experts from all fields to participate in shaping the agenda of Horizon 2020. These people are going to advise what should be the themes of the Calls that should be launched in each societal challenge in the context of Horizon2020. It will be interesting to see how many nominations they will receive, who these people will be and how they will be selected. In any case these people will have a strong influence on how funding will be distributed over the next 7 years. Very strategic posts! From the very beginning of the European Union (EU), interest groups have been an important element in its evolution, an element inextricably interwoven with the functioning of European institutions. The term interest group (IG) is used to describe organisations or bodies that represent trade unions, firms, farmers, local and regional authorities, consumer groups, environmental and animal protection interests etc (Labdas, Mendrinou, Hatziyanni, 2009). IG influence greatly contributes to the EU’s democratic legitimacy and to the formation a common reference framework for the various European public spheres. A coexistence of a variety of public spheres can be observed, which are evolving through complex interactions between the many different material and virtual factors that shape European policies (Labdas, Mendrinou, Hatziyanni, 2009). As a result, the presence of economic and social IGs has been ever increasing since the mid-1980s, indicating that their political mobilisation has been indeed considerable. This increase has been partly due to the complexity of the EU’s multilevel governance and the central position of highly fragmented European institutions. As a result, a great range of access points has been available to these groups to exert their influence on the decision-making process. In addition, due to the constant criticism of the democratic deficit (lack of accountability, transparency of decisions and participatory opportunities, Michalowitz (2007)), the European Commission (EC) has demonstrated increasing openness towards IGs (e.g. White Paper on Governance or the Transparency Initiative, Kohler-Koch and Finke (2007)). In fact, nowadays, any explanation of policy outcomes without mentioning the contribution of IGs would be incomplete, especially since the influence of policy outcomes is their main goal.